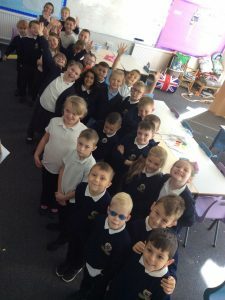 Holybrook is full of enthusiastic children who are keen to learn. As well as the national curriculum we like to talk about topical events. At the moment, Year 3 are very interested in what’s happening with the moon and the cycle of the moon – especially the recent meteor shower. We like to keep healthy and Year 3 enjoyed washing apples freshly picked from the tree. They tasted even better! This is why I LOVE working at Holybrook!